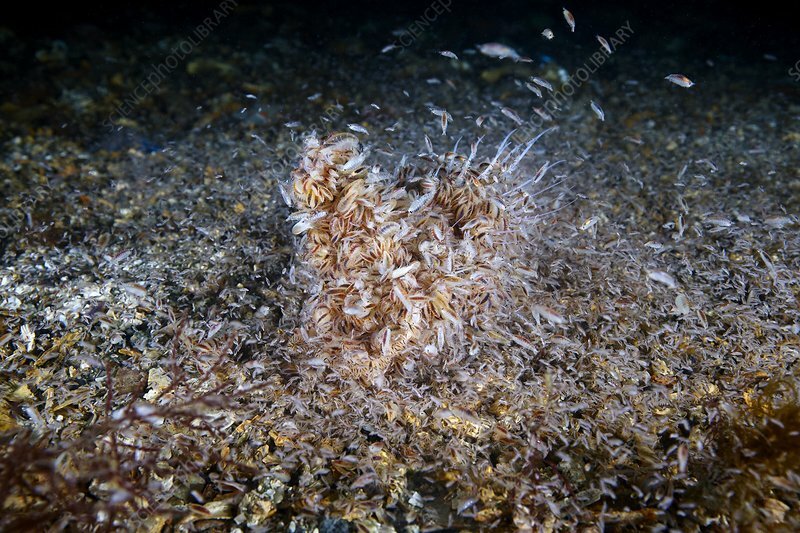 Amphipods (Anonyx nugax) feeding on the body of a dead marine organisms. Amphipods typically have a laterally flattened body and fourteen limbs. They form part of the zooplankton: small, floating marine animals that are an important food source for many animals. Photographed in the Sea of Japan.